All shots done with Canon 5D MKII, Canon 16-35mm 2.8 L II USM, Canon 24-70mm 2.8 L USM. HDR versions below are done with Photomatix Pro and Lightroom. For info, here is the link to my previous post 2 years ago on Neuschwanstein Castle. Long time without posting photo, so to start again, here is a nice pic from a trip done last year in Munich: the Neuschwanstein castle, in Bavaria. 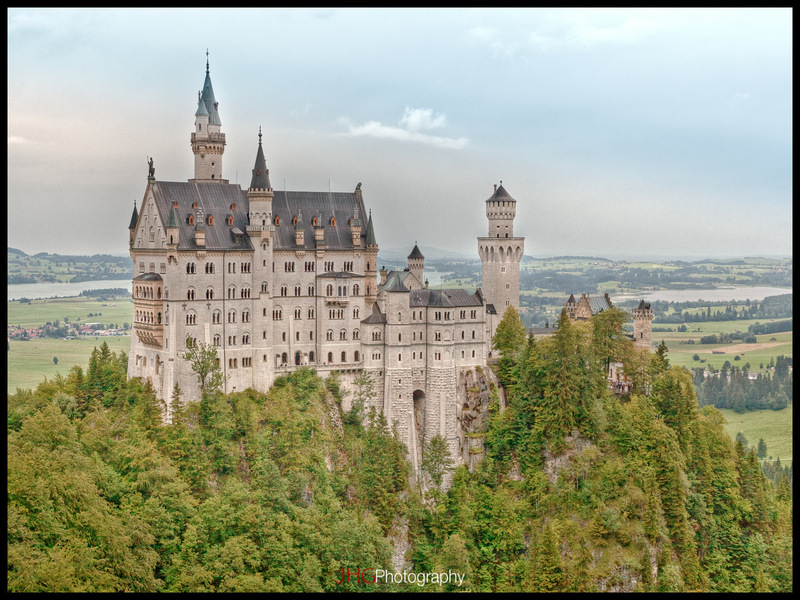 This castle is probably one of the most famous one in the world and inspired many people, including Disney. The palace was commissioned by Ludwig II of Bavaria as a retreat and as an homage to Richard Wagner in the 19th Century. Definitely a must place to see in this area!